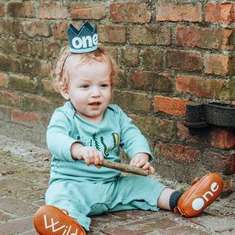 Selected as Party of the Day on July 1st! My son is a big star wars fan. 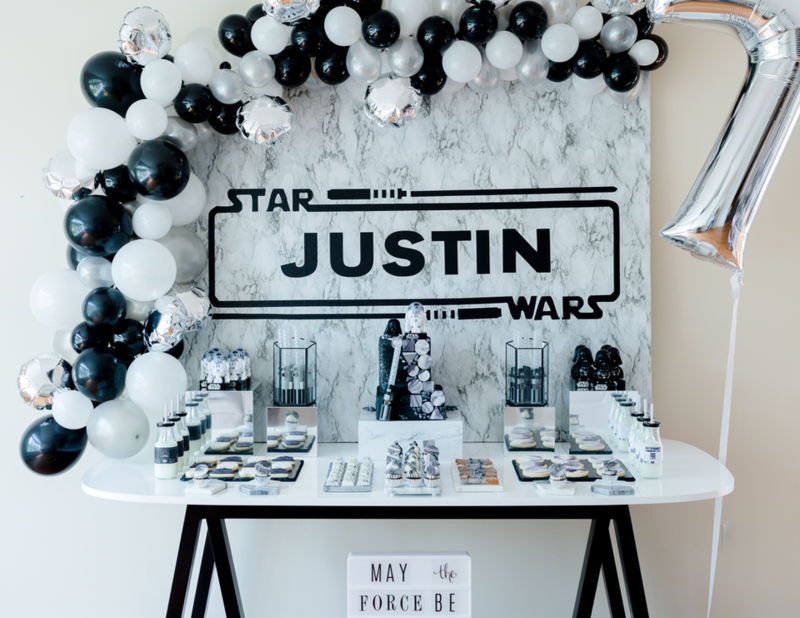 For his 7th birthday I wanted to create a unique star wars party. My setup was a mix of marble, geometrical shapes, silver and star wars characters to complete the theme. 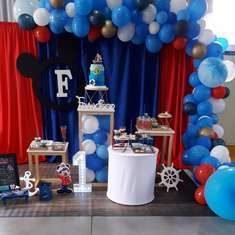 For the sweet table I created a marble backdrop personalized with his name and added a balloon arcade around it. It was a lot of fun coordinating the platters and risers for the perfect look. For the kids table setup, I was in love with the silver chairs. When I spotted them at the rental store, I knew they would look perfect with the star wars setup. I always like to make the kids feel extra special. When it is time to gather around the table I love to see how the kids enjoy the smallest details. The first thing they popped open was their personalized star wars pringles cans. The mini swords and star wars characters were the perfect entertainment till it was pizza and cake time. The outdoor activity was animated by katag. The boys had a blast! They were separated into two teams. They were real Jedis in training. The uniforms, the activity, and the whole experience was unforgettable for everybody. Before the kids left, each one received a star wars loot bags filled with goodies and a personalized light saber. 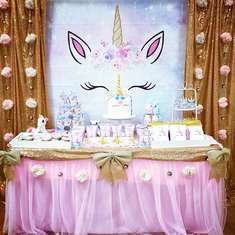 When it comes to my kids parties, I feel so excited to create the most beautiful events for them. My creativity has no limits. Creating priceless memories for them that will mark their childhood is my primary goal. Pizza, chips and lots of yummy deserts. Little Leah's Kitchen is a super talented baker that I had the pleasure of working with on many events. Her cakes and deserts are pieces of art. Her deserts blended in beautifully with my sweet table setup. We focused on geometrical shapes, grey, black, silver and star wars details to match the theme. L&V sweets designed the star wars cookies and chocolate gems. Lynn is an amazing photographer! I love how she was able to capture every single detail. The activity pictures were my favourite. Lynn was able to capture the boys happiest moments running, fighting, and enjoying every minute of their adventure. Balloon garland for the backdrop and balloons around the party room. 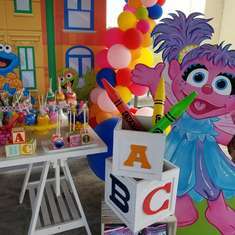 Rentals for kids Tables, chairs and risers.